Dr. Bailey is a Professor for the Department of Surgery, Division of Minimally Invasive Surgery/Colon and Rectal Surgery at McGovern Medical School at The University of Texas Health Science Center at Houston (UTHealth). 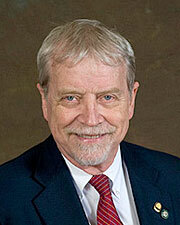 Dr. Bailey is very active member of the Board of Regents of the American College of Surgeons. He has also served in leadership roles in the American Society of Colon and Rectal Surgeons and the American Board of Colon and Rectal Surgery. Dr. Bailey is a native Texan.